Our private ski room and boutique is ideally located ski in/ski out directly on the slopes. We provide everything you need to hit the slopes directly…from private ski guides and ski passes, to every kind of ski, boots and accessories you could wish for whether you are an adult or a child, a beginner or an extreme off piste skier. This is all accompanied with service with a smile and a few drinks to start the day the right way! Uncompromising quality and materials for maximum performance. 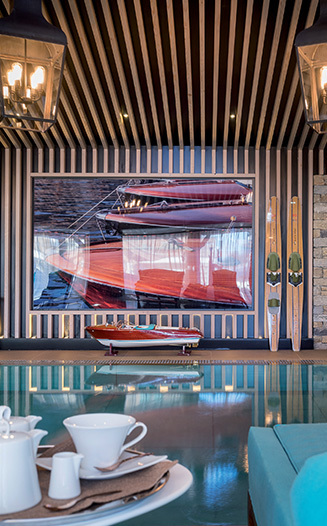 The hotel enjoys a unique partnership with world-famous, hand crafted Swiss ski equipment manufacturer ZAÏ, with a dedicated boutique on the premises. The store offers an unrivalled range of goods, personal fitting guidance and the latest in designer style, technical fabrics and accessories. The Bellefontaine brand opens the doors to the world of anti-ageing through unparalleled luxury, for an elite clientele looking for youth and excellence. Bespoke beauty treatments are based on natural and precious ingredients from the Alps, pure water from glaciers and the most recent discoveries in biotechnology, while unique ang revolutionary complex EDELGEN aims to fight against soft inflammation – one of the main causes of skin ageing. 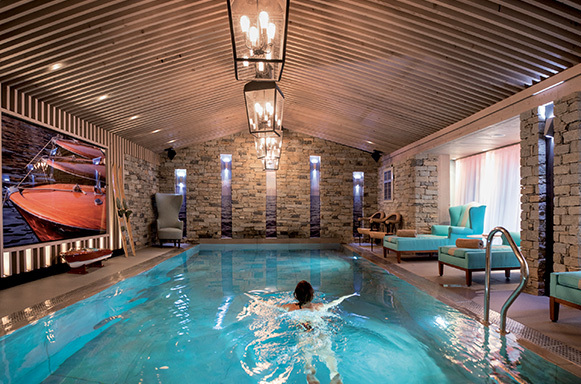 The Grandes Alpes Hotel and Bellefontaine are pleased to welcome you in the exclusive Bellefontaine Spa for made-to-measure face and body treatments. Our team of experts invites you in a contemporary and elegant setting dedicated to beauty and well-being, where results and relaxation are our priorities. The superb spa’s sauna, steam bath, swimming pool, fountains and rain showers are at your complete disposal to complement the feeling of complete pleasure and serenity. Because you are unique, we are at your disposal to determine your needs and expectations and to recommend the best, in order to discover an exceptional and rejuvenating treatment experience.